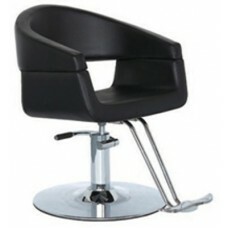 Hairdressing armchair PK-6, buy at the price of 257 in Europe. Hairdressing armchair PK-6 is ideal for your interior in all aspects. It has practical and stylish design, which wins customers immediately. 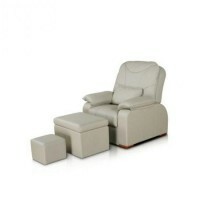 Now about the features of this wonderful armchair. The base of the armchair is made of chromed metal, which is very resistant to corrosion. 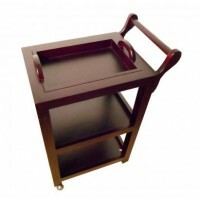 Disk base allows the seat to be stable and to withstand high loads, even when leaning forward. The semicircular backrest and comfortable armrests make the armchair even more comfortable and cozy. The entire surface of it is covered with high-quality imitation leather, which has a long service life and is able to maintain its original appearance. Hydraulic system helps the master to choose the optimum height for each client. The armchair has a comfortable footrest.